Thank you for the opportunity to briefly speak at this prestigious event. I am really excited to be here. My mum is a nurse, a brilliant one at that and I am not biased, so I have a great respect for the hard and valuable work nurses do. My name is Lukeki and I am the DfAD Health Programme Lead. I am not a clinician, but I do I have a scientific background from a Masters in Biochemistry and Genetics. My working background has been varied from Malaria research to working for the NHS in Performance. Personally health is something I’ve also was been interested in, both on a cellular biology level and on a wider burden of disease and health system level. Contributing to global health issues is something I always thought of myself doing way in the future. It was a few years ago when I went home with my mum and my sister, we come from the North Western Province in Zambezi, and my mum was showing us the local hospital. It wasn’t a big hospital, it wasn’t a flashy hospital but it was a place where people went to receive care. It was a moment that stayed with me and I came back inspired and enthusiastic but I didn’t know where I could start or how I could contribute my varied skills, experience and understanding to improving healthcare in Zambia. Through attending different events and trying to find more information, I came across DfAD (Diaspora for African Development) a volunteer diaspora led non?profit organisation that aims to contribute to sustainable social and economic development through harnessing the potential of the African Diaspora with a focus on Zambia and the Southern African region. 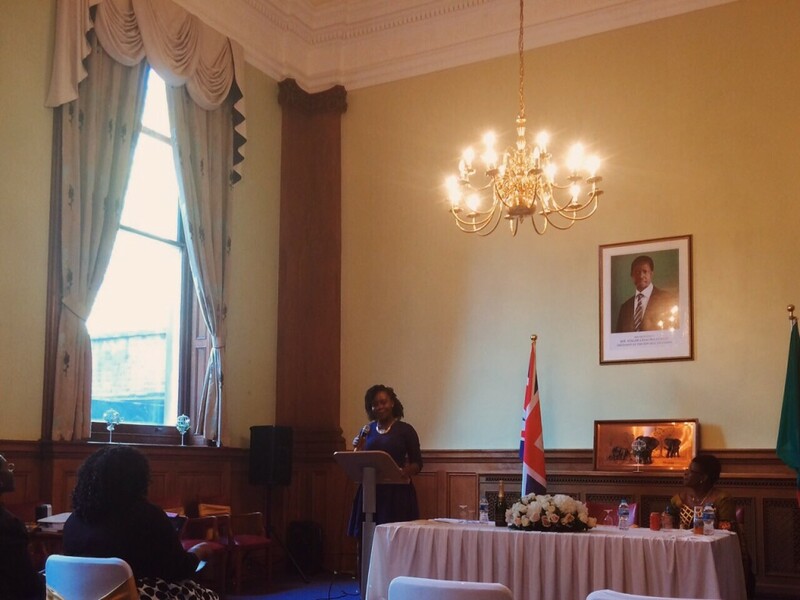 DfAD aims to establish “the link” between the Southern African Diaspora Communities in the United Kingdom and those communities in Africa as a nexus between migration and development. Our Vision is for African Diaspora to have greater involvement in Africa’s development and for them to gain wider recognition for the various ways they contribute to Africa’s sustainable social and economic development, in both their countries of origin and destination. DfAD engages African Diaspora, individuals, communities, civil society, private sector and public institutions in collaborative and capacity building efforts that cohesively add to Africa’s development. We realise that we are not health workers in the tradition sense, that is, not doctors and nurses, so the question for DfAD Health is therefore how to work together with other professionals to achieve our aim of contributing to improving health in Zambia. So that the vast knowledge and skills can be transferred on the ground. This is evident, for example, from our work with the Transplant Links Charity who are aiming to carry out the first kidney transplant. Through our work with them we have facilitated them to receive funding from THET (Tropical Health and Education Trust) to carry out the first trip earlier this year and we also linked them with members of the Zambian diaspora who have been able to help them on the ground with accommodation, transport etc. Increasingly, the diaspora are being seen as effective agents of change in development. This is due to their understanding of issues facing their community both in their home country and countries of?origin. Hence, due to personal connections to their countries of origin, it is continually being recognised that they have experience and skills which, if utilised correctly could have a great impact on development. 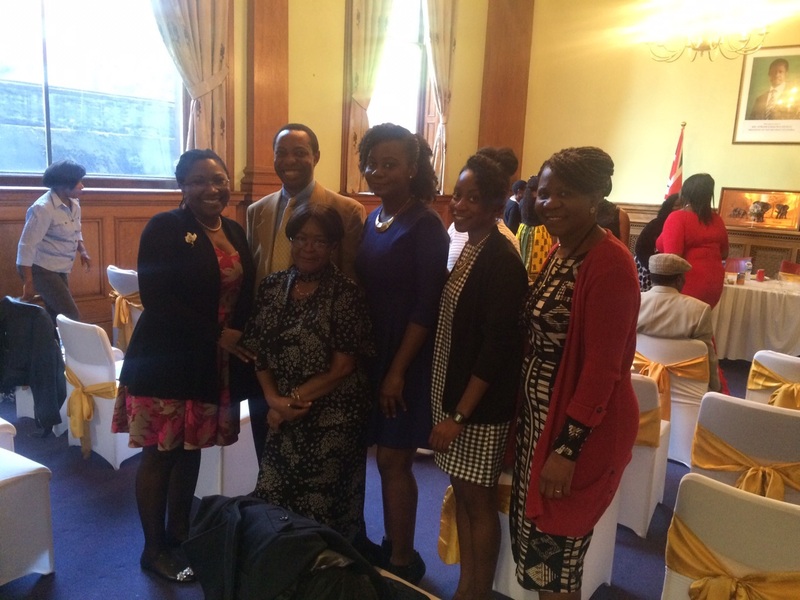 Evidence of this can be seen with the various successful projects being carried out by diaspora organisations. ?However, diaspora organisations often lack the skills, insights and experiences needed to construct strategic alliances with potential partners and stakeholders and to get their voices heard in places of relevance. As a result recently DfAD applied for and I was selected by the African Diaspora Policy Centre as one of 10 participants to travel to The Hague in the Netherlands to attend a week long training course on Advocacy and Lobbying. We recognised that these were skills that DfAD needed in order to be effective in the work that DfAD does. The centre is dedicated to empowering African diaspora as change agents for the development of Africa. Attending the course was a great opportunity to build our capacity as an organisation, by contextualising the theory we learnt in light of tangible action plans. The ultimate aim of the workshop was that we would go back into our communities and share these skills to build capacity so that more diaspora organisations will be able to be even more successful in the work they do. Unsurprisingly a theme that was came through in our informal discussions, common in all these different countries was the need for support between members of the diaspora community. To be able to bring skills and ideas together to find ways to tackle old problems. Given that 2015 is a significant year, a year in which the millennium development goals should have been met, it’s safe to say that although various countries have been making great progress, a lot of these goals have not and will not be met. For example I was reading yesterday that India has only met 4 of the 10 health targets. In 2013 a MDG progress report for Zambia highlighted that progress was being made on reducing child mortality and maternal mortality rates and that they had surpassed the target for HIV prevalence. Of course the growing concern is also non communicable diseases such as diabetes, hypertension and heart disease. This is also the year where the post 2015 agenda will be set out and the new sustainable development goals will be announced. It’s a critical time for us to identify in line with these goals how we can take action and make tangible progress on the ground. As a diaspora community we are equipped with different skills, knowledge and experience and we are all passionate about the change we want to see in Zambia. When we support each other’s projects, we have a greater chance of succeeding and ultimately meeting our common goal of improving healthcare in Zambia. As DfAD we are happy to be here this year again in celebration of international nurses day. A day to all appreciate and reflect on a valuable workforce. We are happy to be here supporting the Association of Zambian Nurses and we look forward to seeing ways we can continue to support them in the future. We all have our parts to play to achieve the Zambia we envision. I’ll close with a quote that sums it up: coming together is the beginning, keeping together is progress, working together is success. No Comments to "Working Together to Improve Healthcare in Zambia"